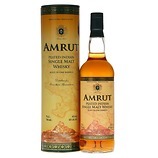 A blend of unpeated Indian malted barley and peated Scottish malted barley. Distilled separately. 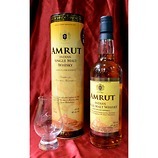 The nose is not as sweet and sickly and a lot better balanced than the 40% Amrut I tasted awhile ago. It’s quite young with plenty of clean, peppery, marc notes. 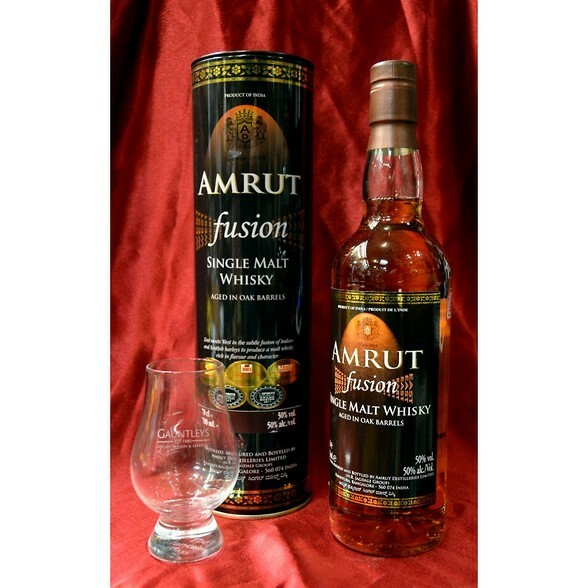 With time it does become sweeter with some sweet barley and almost sherried fruits; although I believe that no sherry casks are used. With time hints of dusty orange and briny peat. The palate is full and oaked. The coastal peat character is more up front and followed by the sweet barley. It’s a touch on the fiery side but that is tempered to a certain extent by the chocolatey malt. Gently smoked with a very peppery middle similar to Talisker crossed with a sort of Bunnahabhain floral character. The piquant alcohol masks the finish somewhat but there is plenty of dry peat and marc notes in the after taste. With water the oak retreats on the nose allowing more of the peat and chocolate orange notes to emerge, although it does become sort of vague-ish. On the palate it is however it becomes a bit watery and the finish reminds me of pot pourri! An entertaining dram as long as you avoid water.